These cults are hidden in plain sight. You wouldn’t recognize them unless you know what to look for and once you do, you realize that they are everywhere. Common themes are anti-white racism, pedophilia, and ties to Freemasonry. 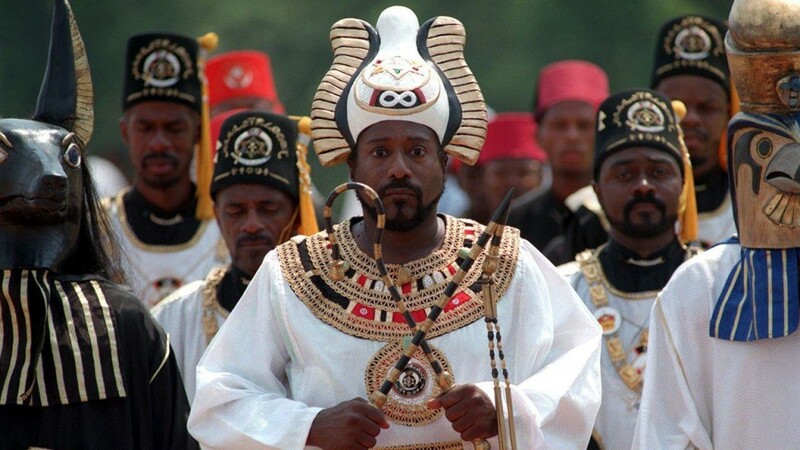 These cults dominate mainstream black culture and rap music in particular. 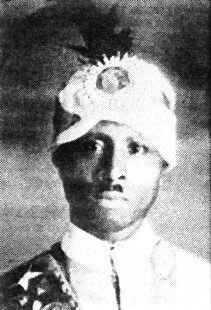 Most of these groups can be traced back to the “prophet” Timothy Drew, left, (January 8, 1886 – July 20, 1929), better known as Noble Drew Ali, founder of the Moorish Science Temple of America. According to Wikipedia: “Drew Ali reported that during his travels in Egypt, he met a high priest of Egyptian magic. In one version of Drew Ali’s biography, the leader saw him as a reincarnation of the founder. In others, he claims that the priest considered him a reincarnation of Jesus, the Buddha, Muhammad and other religious prophets. Take note of the influence of Egyptian magic. It will start to make sense later. Also note the fact that he borrowed from the Rosicrucians, an occult secret society closely related to Freemasonry. (You can also see what Queen Anne Masonic Lodge 242 has to say on the topic. But to make a long story short: Rosicrucianism was a significant influence on the future emergence of Freemasonry.